Fabulous fun in the water! 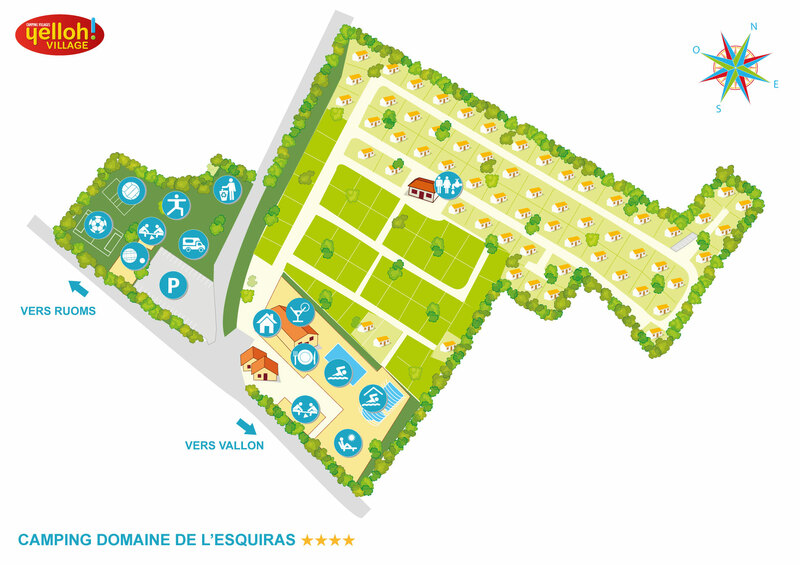 At the camping Domaine de l’Esquiras you can finally relax and enjoy all the pleasures of the water, whatever the weather! Sheltered by its glass dome that lets the natural light flood in, you can splash to your heart’s delight with all the family in the 330m² covered and heated aquatic area. 27°C of happiness await you with a 110m² fun pool, a paddling pool for the youngest, a lagoon and even a balneotherapy bench. And our 140m² outdoor pool is just perfect for a refreshing plunge in the sunshine! For plenty of thrills and excitement, the kids are going to adore the dual lane waterslide. Truly fit for a king! Fancy taking it easy? Stretch out and relax on one of the sunloungers on our 800m² of attractively designed and equipped poolside area. What could be better! No swimming shorts or long swimsuits are allowed in the aquatic space. Only 3km from our campsite, the Ardèche river awaits with open arms! Running through the famous Gorges de l’Ardèche, this is a gorgeous spot for bathing and certain to leave an indelible impression... Share this unique moment with all the family for some truly wonderful memories! A little further away, set off to explore the region and its many rivers, each with its own authentic character: Ibie, Chassezac, Labeaume… Whether you prefer swimming or just dipping your toes, take the time to relax in the crystal water, switch off and go with the flow... Gently unwind and enjoy a moment of perfect serenity with all the family!